The CubeFactory is a tool for sustainable value creation, designed as a simple and intuitive instrument. It follows the idea of the Learnstruments, an approach developed in the CRC 1026, to make objects of value creation particularly beneficial to learning. Darkness is for the CubeFactory usually not a problem, and if it is, then hopefully a socket is close. Our bumbling attempt to hide the cable was noticed by the photographer. Consumption is an integral part of mankind existence. Therefore, it might not be wrong to think about how we want feed our hunger for material things in the long-term. Today 5% of the earth`s 7 billion people consume about 25% of all available resources. With an average western standard of living, the earth provides enough resources for only about 1.4 billion people; all 7 billion would need at least 3 earth. In short, we need to gain more value from less resources. In the long term we need to change our behavior and learn to deal responsibly with our resources. Perhaps classical paths to raise awareness are not enough adequate for this challenge and it requires new forms of teaching and learning. The CubeFactory serves two purposes: It is a learning-conducive instrument (Learnstrument) with an experience-based approach for the mediation of a closed loop material cycle and also a self-sustaining mini-factory for the production of 3D printed objects. 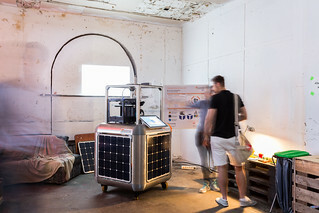 The CubeFactory requires only sunlight and thermoplastic waste to operate. 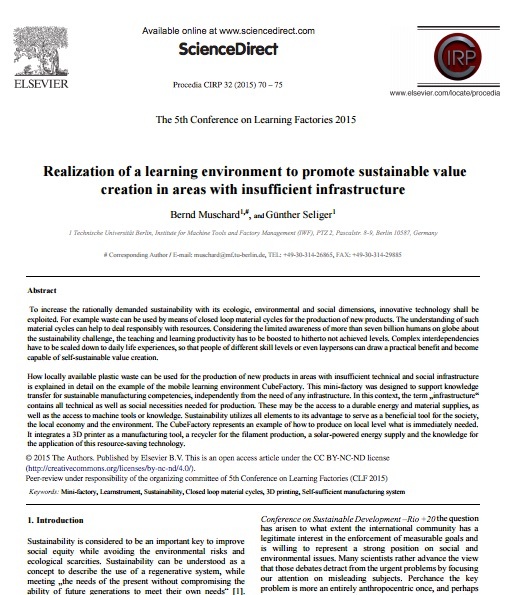 This paper provides a concept to teach and equip people for sustainable value creation using locally-available materials while taking into account minimal prior knowledge, skills and qualifications. An improved understanding regarding basic sustainable manufacturing competencies and recycling capabilities shall enhance the awareness regarding sustainability-related aspects of value creation, with particular focus on the efficiency and effectiveness of resources. We always knew that the CubeFactory is action-oriented, but we had not thought of this! The CubeFactory will have a small role in a short film. We can’t reveal too much, but of course we will keep you posted once it’s online. We say thanks to the film crew, you’re true pros! And action! from CubeFactory on Vimeo. CubeFactory projects  Recycle Bin from CubeFactory on Vimeo. The name says it all, “non-renewable” resources do not grow back – they are finite. Therefore, we should preserve them as long as possible. If they are already in use, it is important to continue to use them, to convert them again and again into new product life cycles. Some thermoplastics can be easily utilized further and, in contrast to metallic materials, require very little energy for their (re)conditioning. For further processing, additive manufacturing processes such as FDM are suitable, since the raw material is easy to produce in the form of a wire. For example, domestic waste can be used as a cheap and locally available resource. This would effectively return obsolete or dispensable products back into the value creation process. 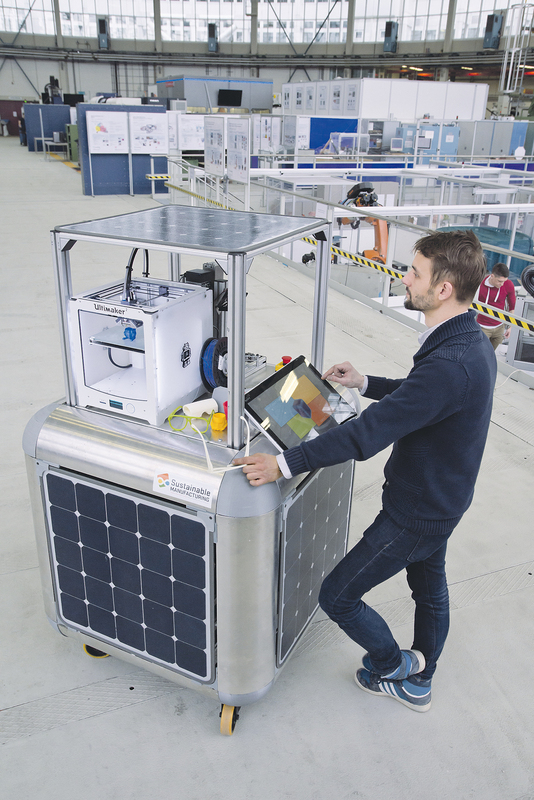 Comparing the cost of 100 kg of sorted plastic waste ($1.00) with 1 kg of 3D printer ABS-filament ($25), an up-lift ratio of 2500:1 is realized. This little machine shows how easy it can be to convert non-renewable resources into new product life cycles. 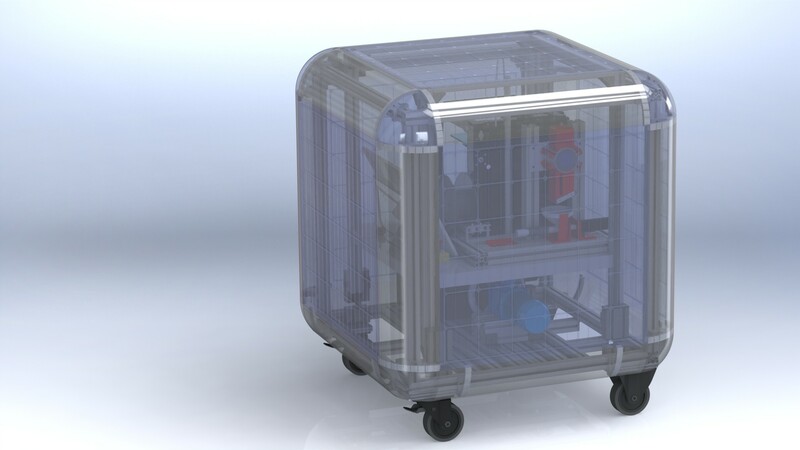 It is simply called Recycle Bin and transforms plastic waste into 3D printer filament. We built this machine in the last few months, and in addition to its environmental and economic benefits, it has an unexpected social component. The shredding seems to have a magical attraction for my colleagues, since they now come over only for shredding a bit. Think about, what has not yet been invented, because we have too few women in engineering science! Girls, become engineers! – Girls’Day – ‘Future Prospects for Girls’ initiated a large campaign in which a wide range of professions and activities is presented to girls of 10 years upwards. Girls’Day encourages the young women to participate in the campaign and change the common attitudes towards vocational orientation. With about 6,500 exhibitors and 250,000 visitors the Hannover Messe is the world’s biggest industrial fair. Though our projects are anything but industrially, we thought we pack the RecycleBin and drop by, together with our friends from the NaWaRo bicycle. Within the Collaborative Research Centre 1026 the CubeFactory is only a small side project. The CRC focus is directed more toward sustainable industrial production. The mention of the CubeFactory in our university magazine was rather small – but enough for a picture! Poverty and lack of education are associated with the overpopulation of mankind and the irresponsible consumption of resources. 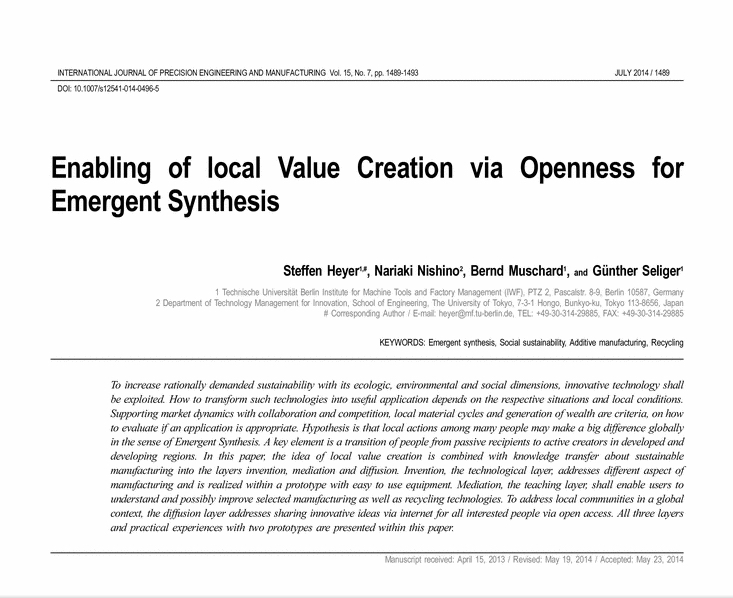 The ability to independently create values can help to improve the local situation, especially in emerging countries. At best, this is done in a sustainable way. The long tail of bits can allow open access to knowledge and technological innovation. This paper discusses this approach and sheds special light on the conditions of emerging markets. It was written mainly by Steffen, my former colleague who has made a significant contribution in the development of the CubeFactory. No place too remote to promote sustainability! Sustainability has become an urgent requirement and challenge for mankind’s survival on earth and for future development, considering the limits of resources and growth and the unequal distribution of wealth. To explain the guiding principle of sustainable manufacturing, I made this video with my colleague Johannes Seidel. What is the global challenge and how do we in the CRC 1026 contribute to solving this problem? 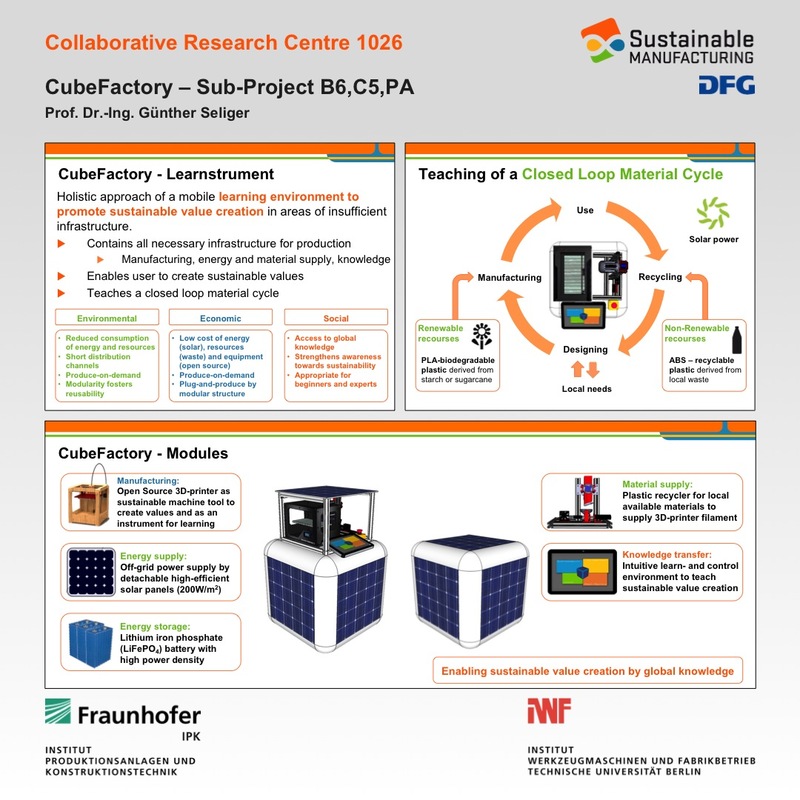 Sustainable Manufacturing – Collaborative Research Centre 1026 from CubeFactory on Vimeo. Some conferences make it particularly easy to make work not feel like work. The Tech Open Air (TOA) is such a conference. “Our mission is to connect, grow, and inspire the human spirit through knowledge exchange and collaboration”. It is a great place to meet entrepreneurs, artists and scientists. 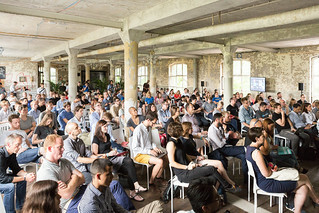 We had inspirational story telling, interactive panels, knowshops, pillowtalks, art installations, live music and all in a beautiful location – a abandoned carpet factory. Since we are German, we are crazy about football, and of course, we have some bets running in the department. On Sunday, two winners will be determined, and it appears that at least one is not from Germany but from Iceland. So it was time to manufacture the winner’s trophy. 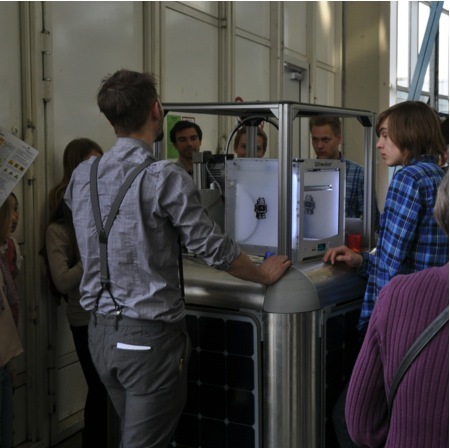 On one night of the year, scientific institutions in Germany open their doors for the general public in order to present themselves and their research topics. We are part of it! So visit us at the Production Technology Center Berlin. On Saturday, May 10, 2014, 17.00 – 0.00 Uhr. youth (juːθ): The qualities of vigour and freshness, or immaturity as associated with being young. research (rɪˈsəːtʃ): The systematic investigation into and study of materials and sources in order to establish facts and reach new conclusions. The qualities of vigour and freshness, this is in some respects also true for our small prototype. Materials, and (open) sources to reach new conclusions, just the right event for the CubeFactory. Once again, we were curious but also a bit nervous to face the critical young researchers. Their questions are often exceptional, and while not always easy to answer, they constantly open up new perspectives. Once again – thank you for your curiosity. We look forward to the next year. Not only are there alternatives in production, but also on the radio. FluxFM is such an alternative, which is why I was very excited about this invitation. And of course about the charming Nadine Kreutzer. 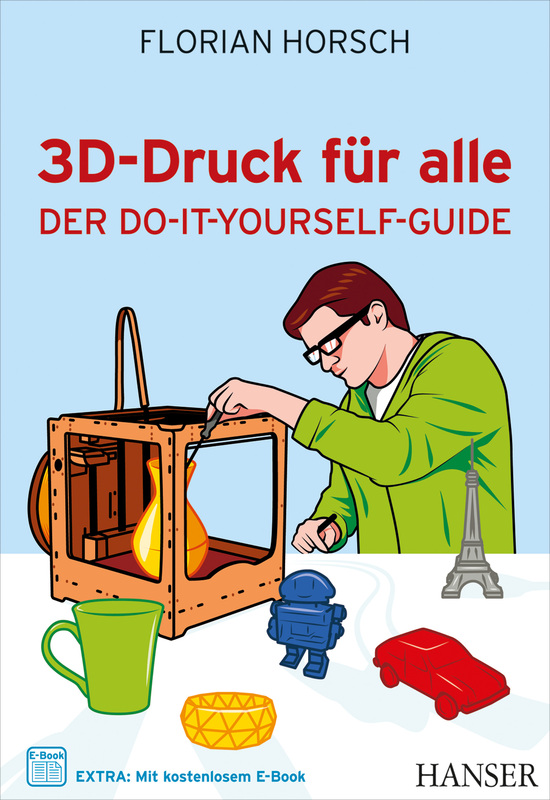 Florian Horsch wrote a good book for those who want to expand their knowledge about 3D printing. He presents a detailed overview of software & hardware and an insight into communities, new developments and what we can expect from the current hype. Maybe I should mention that the CubeFactory is in it, too. The CubeFactory can pull in for safe transport to a space-saving cube. We have tried to keep the space requirements as low as possible and take advantage of every inch. Nevertheless, we left some space for future extensions and ideas. Meanwhile, the motor limit switches are mounted. For the main switch, we are still looking for a good position, accessible but well hidden. Maybe a remote control? 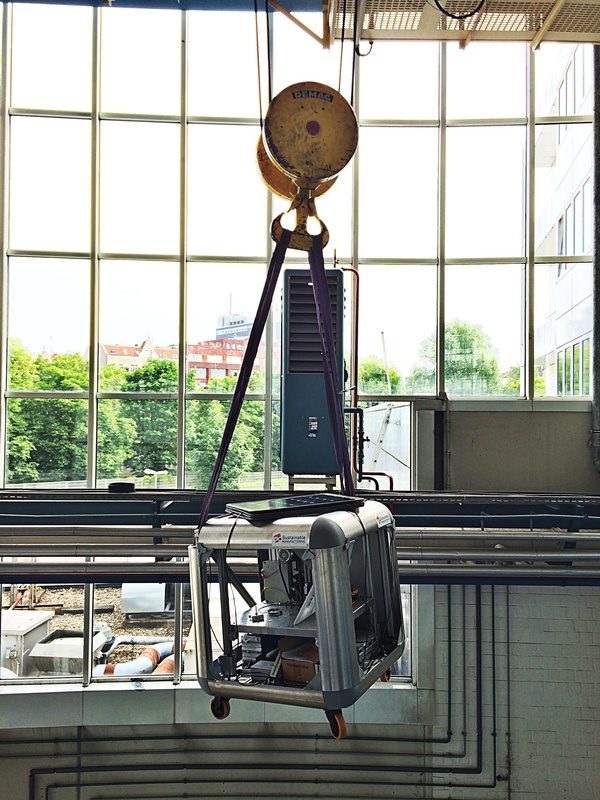 The lifting is still a bit noisy, but let’s face it, it’s still a prototype. Against the squeak of the jackscrew, a lot of grease was very helpful, the vibrations we will hopefully be able to slightly reduce by foam rubber. Closing the CubeFatory from CubeFactory on Vimeo. Bernd Muschard & Jérémy Bonvoisin – Sustainable Manufacturing with the” All in one Cube” from MaketechX on Vimeo. Well, it is not the whole world but at least it’s a start. Welt.de seems to like the CubeFactory. P.S. We would like to buy a C and solve: What is Manufaturing. Explaining the CubeFactory is actually quite simple, but it takes some time to complete. Thank God there are posters. Here is a brief overview of the idea behind the CubeFactory. The goal is to build a mini-factory which contains everything needed for sustainable production. Each module provides its own contribution to sustainability and relies only on free, locally-available resources. Since the resource of knowledge is not openly available everywhere in the world, it should be integrated into the CubeFactory. It’s all about the issue of sustainable value creation. What is it and how can we implement it into production? The CubeFactory is a tool for learning and application. And with a little sun and plastic, it works in almost every place in the world. Our Institute (IWF) was site of Jugend Forscht, a German youth science competition and of course we used the opportunity to face up to the young but critical audience. We are relieved the young scientists liked the concept of a sustainable mini-factory and promise, next year everyone gets a bracelet. Thank you for your curiosity, you made our day! This is the result of a long night of designing, now we can start with the housing. 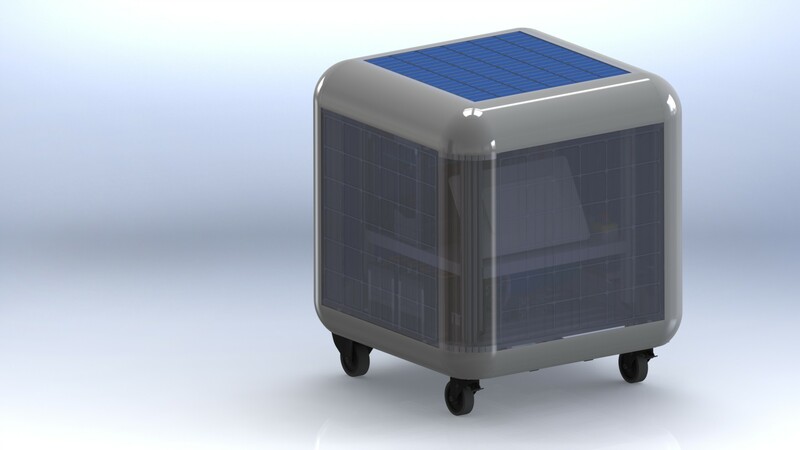 The complete support structure for the cube body will be built up by just 3 different components. In order to be manufactured very easily, they are all printable in a 3D-printer. Printing of one of the corners for the Cube Factory. It was a first test with only 5 percent fill. This gave some problems. Corners with 18 percent fill have shown to be very strong. We have been using the Ultimaker for some days now and can not deny that we’re very happy with it. Consider this as a small declaration of love. Out-takes from Cube Factory on Vimeo. Assembling the Ultimaker was a bit challenging. But if you are a smart guy (or an engineer) or even read the manual, it’s also not rocket science. Ultimately we are glad we have built it by our own and want to encourage everyone to do the same. Assembling the Ultimaker – Day 1 from Cube Factory on Vimeo. Assembling the Ultimaker – Day 2 from Cube Factory on Vimeo. First test from Cube Factory on Vimeo. Cube Factory from Cube Factory on Vimeo. A short video about the Cube opening and the touchscreen unfolding. This is the first render of how the Cube Factory looks like when it is closed. 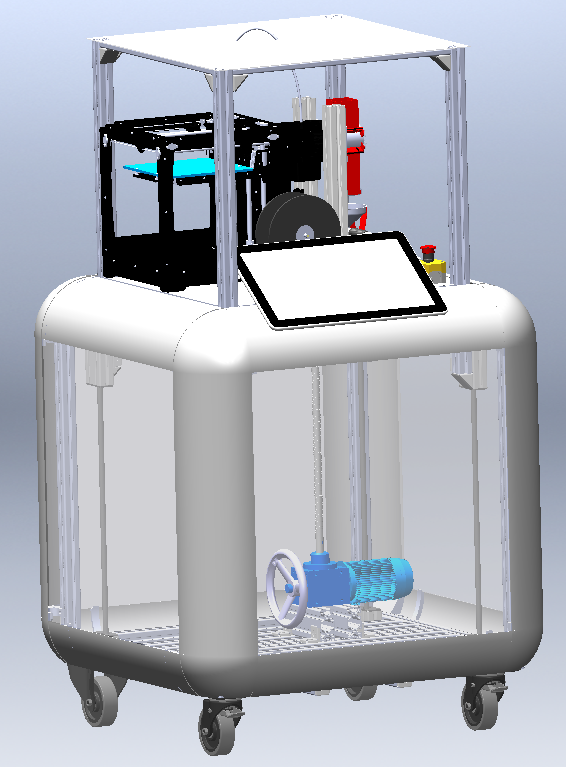 The design of the Cube Factory in Solidworks is in progress. Still missing on these images are the solar panels, which will be attached to every side, and the batteries next to the lifting spindle. In cooperation with the University of Twente we made a filament producing machine with which you can produce consumables for 3D-printers out of local materials. This one runs well with ABS but we are working on using PET-bottles as a resource. Home Recycling Device from CubeFactory on Vimeo.